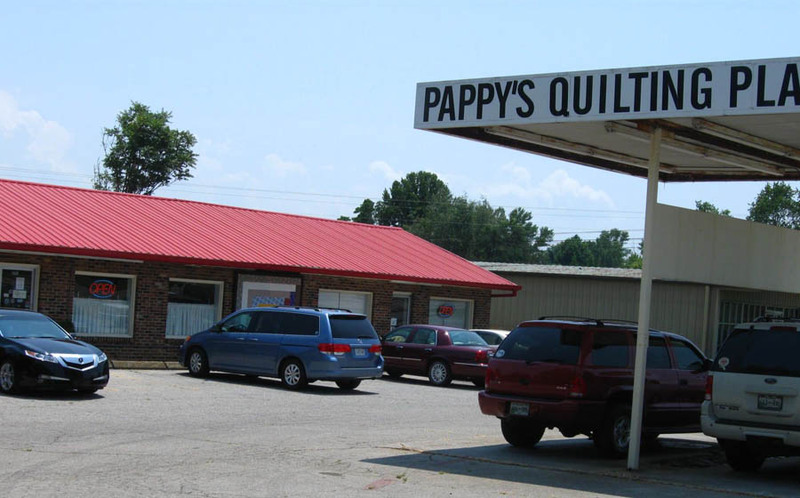 South of Knoxville is the town of Maryville, Tennessee and the home of Pappy's Quilting Place. You'll have to worm you way down state roads and a few country roads to get there, but Pappy's is a destination quilt shop that's worth the drive. Pappy's Quilting Place in Maryville, Tennessee. Pappy's looks like an old gas station with the shop's name on what appears to have been the overhang above the gas pump area. The inside, however, is light, bright and cheery. The white shelves sing with colorful fabric prints and patterns and the aisle ways are wide and easy to navigate (especially for someone with rolling suitcases full of Blank fabric samples). 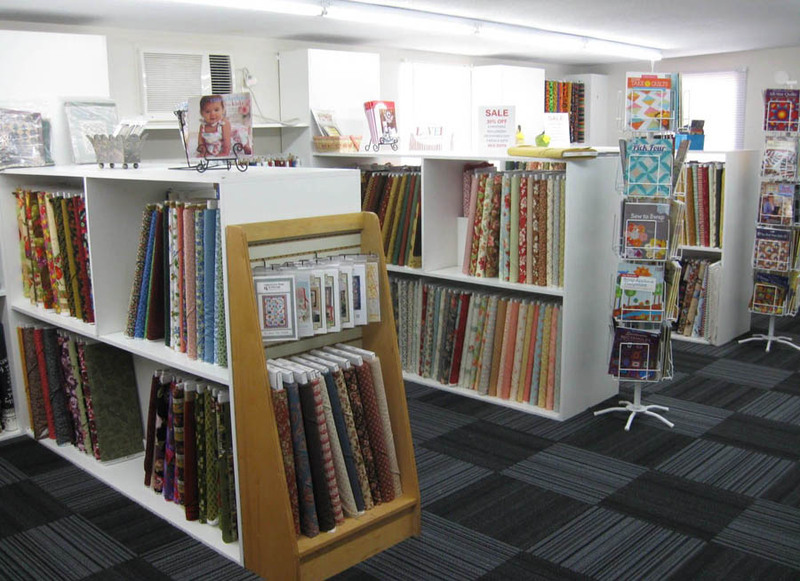 This is the front room of the shop. 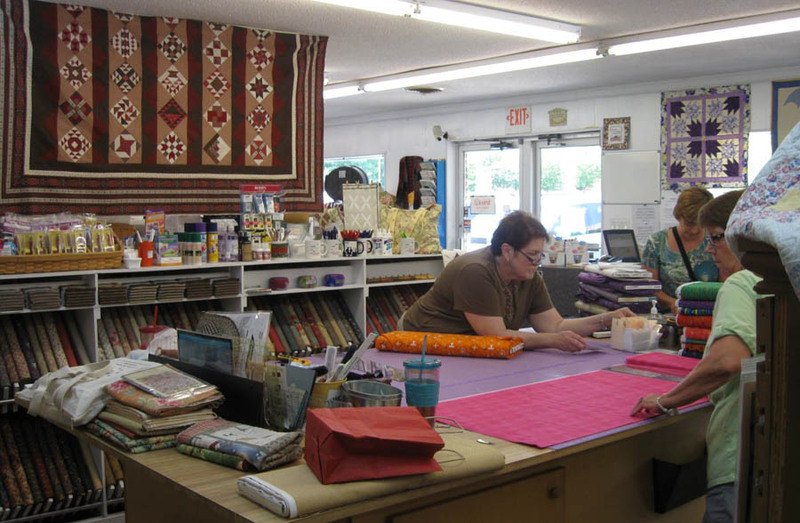 Here is Shelby, the owner, helping customers at the cutting table. 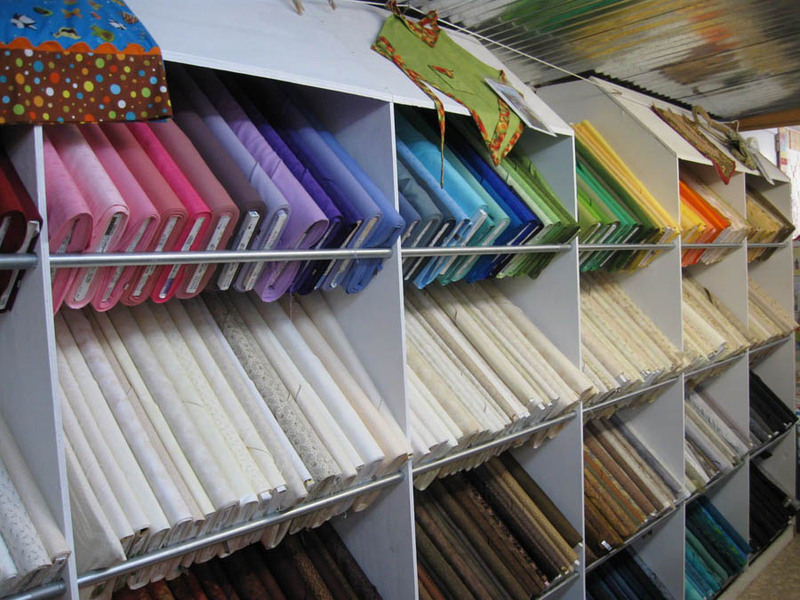 Pappy's also has a unique way of indicating the fabric amounts that are cut for their customers. They use laminated cards with yardage amounts. Shelby, the owner at the large cutting table in the middle of the main room. 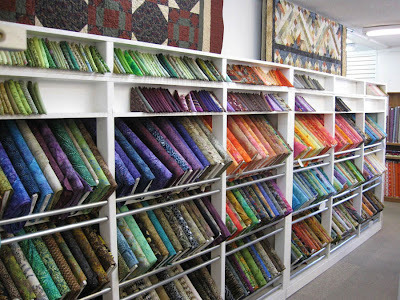 Shelby totally restocked the inventory when she bought the shop a couple years ago and her collection is extensive. 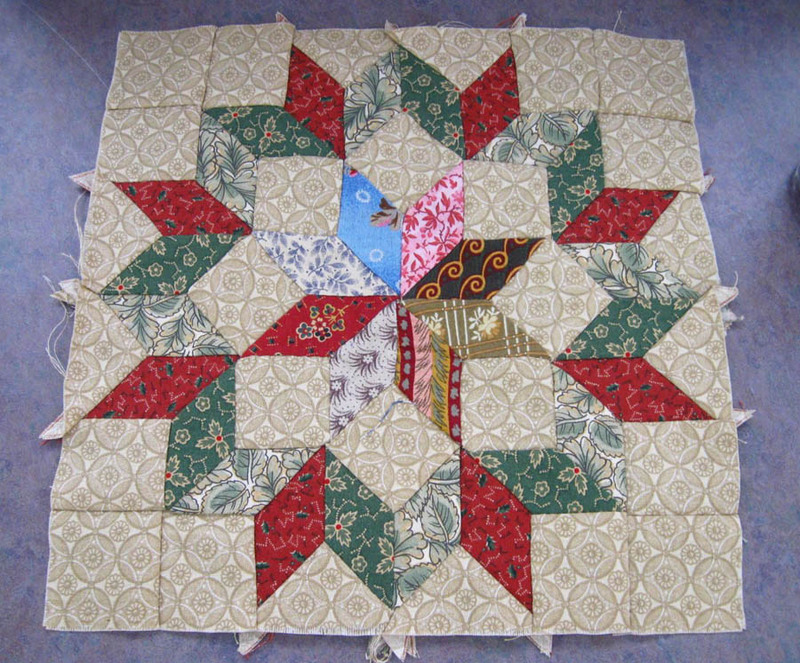 Batiks and associated fat quarters. A wall of solids, basic whites, off-whites and neutrals. 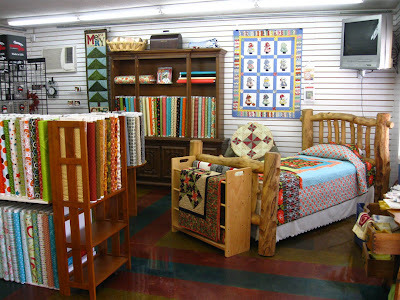 The classroom area at Pappy's is large and spacious. 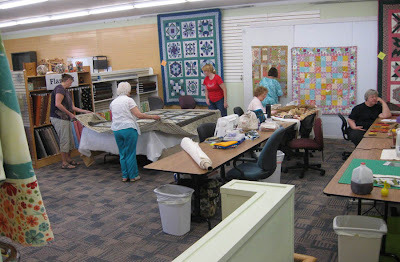 There was a group working on projects and basting a large quilt during my visit. A spacious classroom at Pappy's. The main building has had several additions over the years and each room is filled with fabrics and charming displays of quilts and quilting accouterments. The displays at Pappy's Quilting Place are charming. Fabric bundles, buttons and threads. 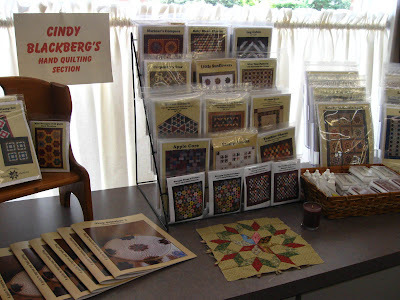 There was even a special section for hand quilting aficionados with many of Cindy Blackberg's patterns, books, stamps and fabric ink pads. I took a class with Cindy Blackberg several years ago. 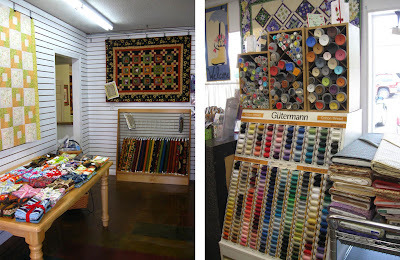 She is a wonderful and patient teacher and her hand piecing work is amazing! Cindy Blackberg hand quilting section. Someone did a marvelous job on this hand pieced quilt block. 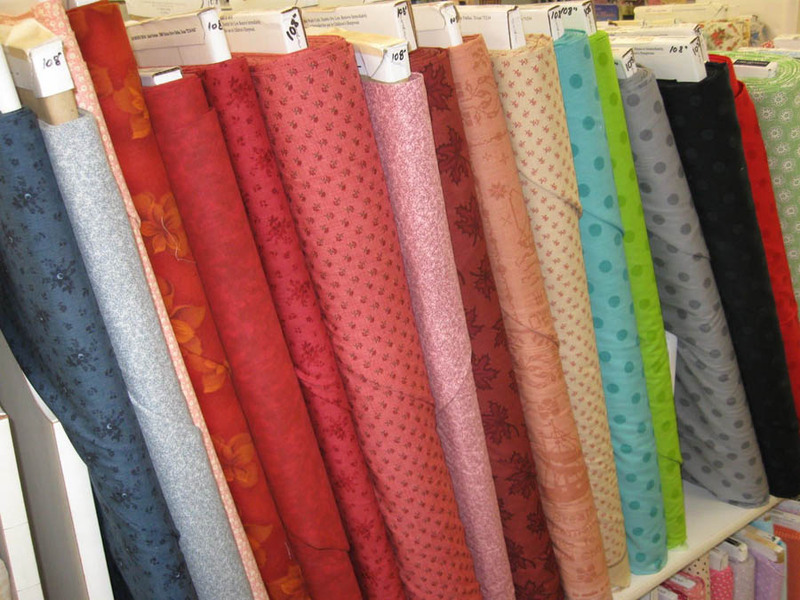 Check out those Y-seams and the sharp points! 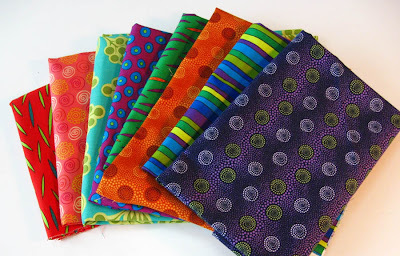 The shop was hopping while I was there but I managed to scoop up a few brights for my own collection before I hit the road again. My fabric purchase at Pappy's.